For some time now it is not only a referendum: it is called now Catalan Revolt. Long ago, the independence movement in Catalonia has turned into the main challenge of the Constitution and of the stability in Spain. The Catalan Revolt is a riot, an impugnation, a bomb among the construction of the Spanish Regime in 1978, a protest against Partido Popular (People’s Party, the conservative party now ruling in Spain), a reaction to the economic crisis, a blow to 30 years of a Catalan self-government oasis. It is like Spain’s Indignants movement Catalan style. “It is a 15-M promoted by independence supporters”, said the journalist Roger Palà. Obviously, it is (above all) a referendum on independence, it is a claim from a perspective focused on nationalism, it really is a defense of Catalan identity. It is, at the same time, it has turned into a truly split against the political system – it is kind of ‘Que se vayan todos!’ (‘Everybody out!’, the slogan of protests in Argentina, 2001). As a result of judicial and police offensive from the Spanish government, it has become a ‘waiting room’ of a big massive act of peaceful civil disobedience. If there is not a social mobilization in the streets, there will not be independence. Spanish government has blocked all the paths of the referendum through judicial and police means. There is not an option right now of a negotiated independence, neither a legal process lead by Junts pel Sí (Togehter for Yes, pro independence political coalition). It is not a new situation for independence supporters. Catalonia is, in fact, a country of rebellions, riots, uprisings, strikes and revolts. Revolting is surely the best Catalan value. Whatever happens on October 1st, the Catalan Revolt has already begun. Will there be enough strength, resistance and mobilization on the streets and among political parties to resist the judicial and police offensive for weeks and months? Spanish government has only showed a 10% or a 15% of his strength. Pro Catalan independence organizations and parties are now preparing for some weeks what they call a permanent mobilization. Firstly, they called a demonstration until the people under arrest are freed, with tents in front of the Catalan Upper Court of Justice (Passeig de Lluís Companys, Barcelona). On Sunday some demonstrations are scheduled in front of all the councils in Catalonia; after October 1st, many left-wing politicians and activists are able to foresee the need of pressing on the streets daily and continuously. During these months there have been many proposals similar to protests like 15-M (whether in Madrid or Barcelona), EuroMaidan (in Ukraine), or Tahrir Square (in Egypt). Political parties like Junts pel Sí and CUP, and ANC (the Catalan National Assembly) have already informed their members some strategies of mobilization. The existence of some documents from ANC, published by ‘La Vanguardia’ in may 2017, showed the proposals of many territorial and sectoral assemblies for the days after passing the Juridical Transience Law and after the declaration of independence of Catalonia in order to organize ‘indefinite camping’, ‘passive resistance”, “tax resistance”, “squatting” and “protecting Catalan public television and radio in case of communication is cut off”. According to the Catalan journalist Cristian Segura in a written article in ‘El País’, ‘the president of ANC, Jordi Sànchez, explained in February 2017 that his organization is ready to camp in Parc de la Ciutadella (a large park in Barcelona) in order to avoid disqualification of public office positions of some of the Catalan Parliament members”. In fact, in this same text, he highlights a statement made by the president of PDeCAT (Catalan European Democratic Party), Artur Mas, during an event organized by ANC in February 2017: “We need a good plan of organized mobilizations that hinders the Spanish government on their will to stop the Catalan referendum or a plan that is able to increase the cost price if they want to stop it”. If negotiations are not possible between Spanish and Catalan governments… the ‘valves’ would nearly burst. Catalan journalist Enric Juliana warned, in one of his last articles in ‘La Vanguardia‘: “The flow is getting much bigger and it can easily make the river overflow. Just an act of statement from the Spanish government’s authority with any political offer meaning an alternative, which tends to be the humiliation of Catalan institutions, could have mid-term disastrous consequences regarding Spain”. Catalonia is an especially rebel country. Throughout history, Catalans rose up against power and the most powerful. Both in Madrid and Barcelona. Stubborn rebellions. Always ‘tumultuous’ (a word often used by the Spanish minister of Home Affairs, Juan Ignacio Zoido, to describe the demonstrations in Catalonia), always in trouble. Spanish soldier Baldomero Espartero (1793-1879) said in 1842 that it was necessary to bombard Barcelona every 50 years. In the 19th century, Catalonia was in a permanent state of emergency of suspension of basic freedom because of riots and liberal revolts. Antonio Guerola, civil governor in Barcelona during the reign of Isabel II, said: ‘The rebellious personality of Catalans has often required military strength to suppress it, and long periods of time in the siege’. Rajoy asked the Catalan government for unconditional surrender in order to ‘avoid greater evils’. What are those ‘greater evils’? Setting up a kind of state of siege in Catalonia- Catalans have a lot of experience on the siege. Some talk about a possible suspension of Catalan autonomy and keeping the Catalan government under arrest: this happened in 1934 after October incidents when Companys’ government was in prison. The Spanish Civil Guard is now confiscating posters and scouring printing houses (they seek ballots) and freedom of expression is pursued. But not only in the 21st century – with Primo de Rivera and Franco’s dictatorship, many Catalans already know how to face them – The Police, the Civil Guard (and Mossos d’Esquadra, the Catalan Police Force) as they are evacuating, dispersing and breaking up demonstrations. 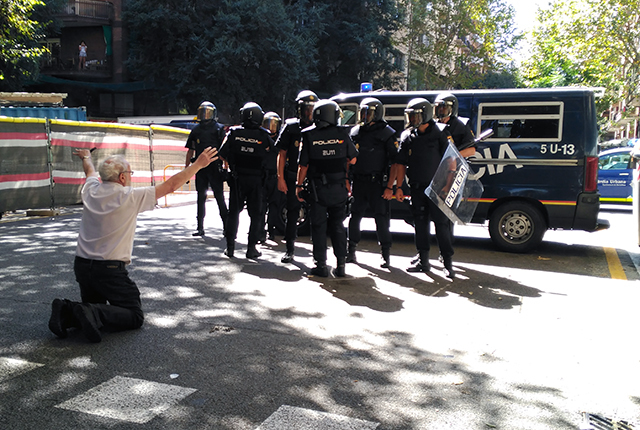 There is no need to turn to Gandhi: social movements in Catalonia have a broad experience on arrests related to actions of nonviolent civil disobedience. The Catalan rebel spirit goes back a long way. From the 13th century, there have been Catalans who have revolted! Attention. In 1285 one of the first social rebellions socials in Catalonia occurred: Berenguer Oller plebeian revolt. In that current setting, when social uprisings occurred in many cities of Italy, France or Flanders due to the broad economic differences between urban population, Berenguer Oller lead a revolt in Barcelona where craftsmen and traders got the popular support to protest against rents and census that were to be paid to clergymen and upper-class people. Their aim was to attack all the rich people in the city. Other Catalan important cities like Girona and Lleida got into the act too. That pioneer uprising was eliminated with no consideration. It ended up badly. Berenguer Oller and seven people of his ranks were hanged. Those murders created great commotion in the city. That was only the beginning of the story. Catalonia, as it usually occurs in other parts of the world like Paris and South America, is particularly a rebel, hard-to-put-down ungovernable nation. When I read the book ‘La formació d’una identitat. 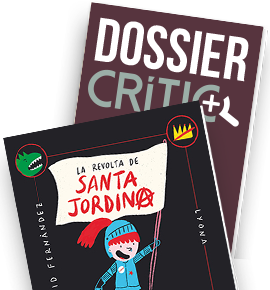 Una història de Catalunya’ (Josep Fontana), I wrote down all the revolts in Catalonia during the past years. Amazing. The revolts organized by ‘remences’ (farmers) were stunning- in 1353: A group of peasants in Osona (central region of Catalonia) assaulted a part of the Monastery of Ripoll and burned their scripts; peasant wars at the end of 15th century protesting against servitude and abuse; the Reapers’ War (in 1640 “a memorial book of the Generalitat explained the abuse from the soldiers belonging to the Royal Spanish Army in many Catalan villages”, where we can see fights between the rich and the poor, vassals against lords and violence coming from banditry; the ‘barretines’ revolt (1687-1689), which had begun in Centelles (a village in Osona) against the lords, their taxes, and extremely low wages; the riots, often against the Church, where convents were burned- on August, 5 1835, the popular malaise in Barcelona created a new movement against military authorities and general Bassa, where the assailants finally killed the general and threw his corpse down the balcony of the palace! ; during the revolutionary movement in 1854, the first city to revolt was Barcelona, singing the Anthem of Riego (II Spanish Republic); at the end of the 19th century the labour movement erupted – the first worker societies congress was celebrated in Barcelona in 1870 and UGT (Spanish General Union of Workers) was founded Barcelona thanks to Pablo Iglesias in 1888, CNT (Spanish National Confederation of Labour) became a mass union in Catalonia; anarchism, cooperativism, and mutualism grew between the 19th and early 20th century, at the same time as trade union and social movements were spreading propaganda and attacks (like a bomb explosion in Liceu theatre, Barcelona 1893). Uprisings are not just a thing of the past. In the early 20th century, revolts were about continuous social fights. From the Tragic Week (against the compulsory recruitment of soldiers and, by the way, against the Church) to La Canadenca strike (their aim was to limit the working day to 8 hours). At the same time catalanism reappeared, thanks to historic protests like Memorial de Greuges (List of Grievances) presented in 1885 to king Alfonso XII by Centre Català, and successes like the first conquest of a Catalan autonomy as Mancomunitat in 1914; the republicanism, thanks to 2 Catalan successes as well – both during the 1st Republic (1873) and the 2nd Republic (1931), proclaimed first in Barcelona and later in Madrid by president Companys and later by president Macià, in Sant Jaume square; the only Anarchist Revolution, which has been a success in the world, occurred in Catalonia Catalunya during the spring of 1936 right in the middle of the Civil War period; the first greatest mass challenge against the Franco regime occurred during the Tram Strike in 1951; the PSUC (Unified Socialist Party of Catalonia), was founded in 1936, and it was one of the great Communist parties in Western Europe, leading the labour and neighbourhood movements in Catalonia until the 1908s, and in fact it was the only Communist party of a nation that had no State in the Communist International. It is definitely a rebel nation. And so it has been early in the 21st century. Nor historians from the past years nor journalist of the present years can shun such a really serious issue – the great majority of riots ended up initially defeated, annihilated, executed, destroyed. Perhaps, some of them, just a few, finally got moral victories, they managed to change important issues in the midterm or maybe their goals would succeed after some time. But at that moment, most of them were finally suffocated by the strength of their State, and of the rich and powerful people. From Berenguer Oller (hanged) to Lluís Companys (the only democratic president in the Western Europe who was murdered by fascism). From the trials against Ferrer i Guàrdia after the Tragic Week, to the sad and hard exile of Republicans after the Civil War. We are the children of thousand defeats. If Catalan independence is not possible, now it is the time for disqualifications, trials, fines… and overall disappointment and fatigue within a movement that has been organizing acts and demonstrations for years with the utmost effort. ‘Winter is coming’, some say so. Autonomic regression can be terrible. The Generalitat is now literally blocked, not with tanks, but financially. It is not likely that the Popular Party made a mistake (thinking of its voters). In Spain, there is a restoration operation of bipartisanship to annihilate Podemos since it is considered a ‘secessionist’ party. In fact, there are many Catalans who agree with the possibility of stopping that referendum, which they consider to be illegal, unilateral and they feel it rejects them. The same Josep Fontana, in an interview made by CRÍTIC, close to PSUC, declared himself a supporter of Catalan independence but far from ‘magical independence’. He had already fingered, a few months ago, some possible frustrations if the so-called ‘process’ to Catalan independence would not success or even if it would fail. 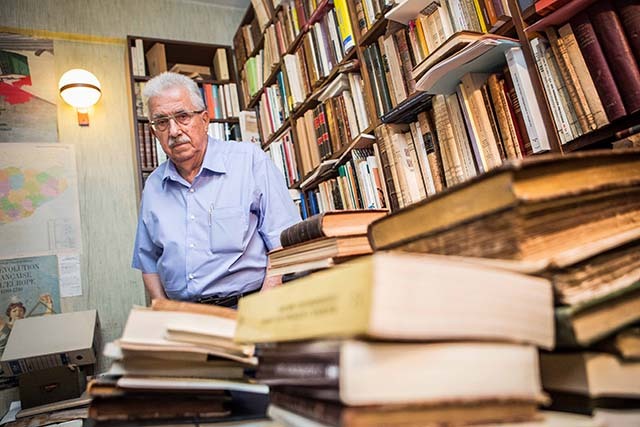 Fontana is an expert on historic revolutions. He knows what he is talking about. His reflections are a warning to the independence supporters of a possible fateful future in case they end up losing the game. JOSEP FONTANA: Does ‘rupture’ mean ‘separation by coercion’? But what coercion? How can you get to this breakup? CRÍTIC: With a Unilateral Declaration of Independence? JOSEP FONTANA: Ok. From that moment on, what can you do? How can you take up the frontiers? With the help of Mossos d’Esquadra? They are, in theory, a national force that depends on the Ministry of Home Affairs. Like it happened on October 6, 1934, they can be warned, and will also have to obey the authorities from the Spanish government. President Companys was so sensible he did not declare the independence: he declared the Catalan Republic within a Spanish Federal State. At that time he was convinced or someone convinced him that there was a revolutionary movement throughout Spain that would seize the government in Madrid and that within it a federal state would be created. Now, they say ‘we will declare independence’. For how long will the Civil Guard get into the Palau de la Generalitat to take them all? If you want to get something by coercion, it’s OK, but you will have to start thinking about guerrilla armed forces. Otherwise, they won’t let you go, since you are a key element among other global regions of your State. They do not even need their Army – for them, the Civil Guard is enough. Let’s not joke about this. Getting independence by coercion was ETA’s option in the Basque Country but they did not achieve. But the cost they paid for it was high. Obviously, the only way to separate is when the other party accepts it. There’s no other option. …Optimism of the will. There are thousands of people in the streets. The buzz will continue although the campaign of fear coming from the Spanish government, ‘Operation Patrimony’ and the arrest of some councilors of the Catalan government. It is difficult to stop the ‘train crash’. It’s just the beginning. Are we going to experience The Catalan Revolt? Are we going to continue in the same ‘process’? Will there be enough strength, resistance and mobilizations in the street and within the political parties to resist the judicial and police offensives for weeks and months? Or in a few years we’ll be talking about (as John Reed wrote) ‘ten days that shook the world’? 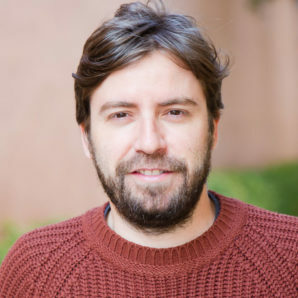 Sergi Picazo is a catalan journalist working at CRÍTIC.